By Solwyn AOR The Kensington Runestone Museum is located in Alexandria, Minnesota. It is a small museum with an inside and outside display. The outbuildings are transplanted original dwellings donated by the current owners of various properties in the state of Minnesota. They present a small snapshot of how our folk would have lived in Scandinavia, and other parts of Northern Europe. By Mark Puryear The game of Tafl, “Tables,” or Hnefatafl, “King’s Tables,” is an ancient pastime that was played by our ancestors as far back as 400 AD, until it was superseded by chess around 1000 A.D.
by Seb AOR At all times, the peoples of Northern Europe have had a special relationship with trees. We find this relationship in our mythology and in our folklore. But we also find it in the everyday life, a symbiosis between men and trees. Indeed, without trees, there certainly never would have been life on earth. This article aims to put forward this symbiotic relationship between trees and men. In its resurgence over the past century Odinism has sometimes lacked credibility due to a tendency on the part of its adherents to refer to our deities in what can best be described as a literary fashion. 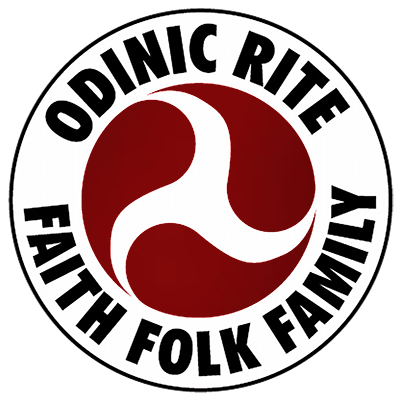 The Circle of Ostara is a Magical Order associated with (but not officially a part of) the Odinic Rite, together working to further the awakening of our people. The Circle itself has a long history, and has developed its own system of mystico/magical practice. I do not accept that the Edda of Snorri Sturluson is a true reflection of our faith and religion. As a member of the family of clans of Northern Europe, he was in possession of the truth of our faith, but he chose to dishonour himself by distorting that truth and betraying our Gods and his own kindred. By Kris Stevenson AOR My path to Odinism has been gradual, and probably one that has taken most of my life up to now without even realising that I was any kind of journey. Science was my bedrock of understanding, although I had always felt that something more existed in this universe beyond the comprehension of man, but I was never able to form an opinion of what, or who, it was.